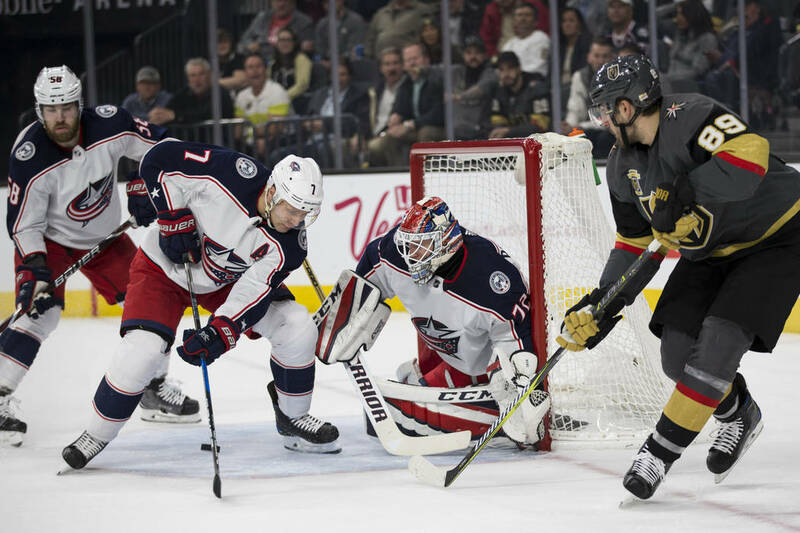 The latest win was a 6-3 decision against Columbus on Tuesday night before 18,231 at T-Mobile Arena. Some history: It is in reference to a grudge or grievance, the origin being a 19th century American practice of carrying a chip of wood on your shoulder and daring others to knock it off to provoke a fight. 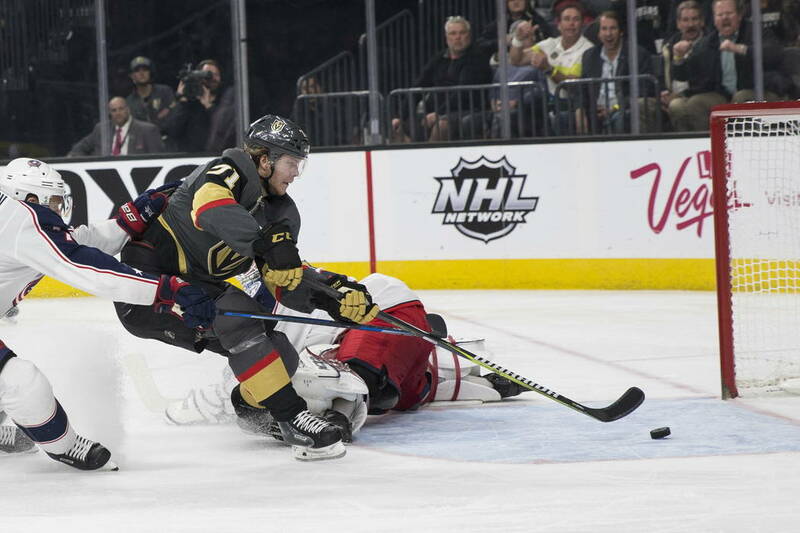 Let’s just say NHL teams have, for the most part this season, failed at triggering much hostility from the Golden Knights. Why brawl when you keep winning? 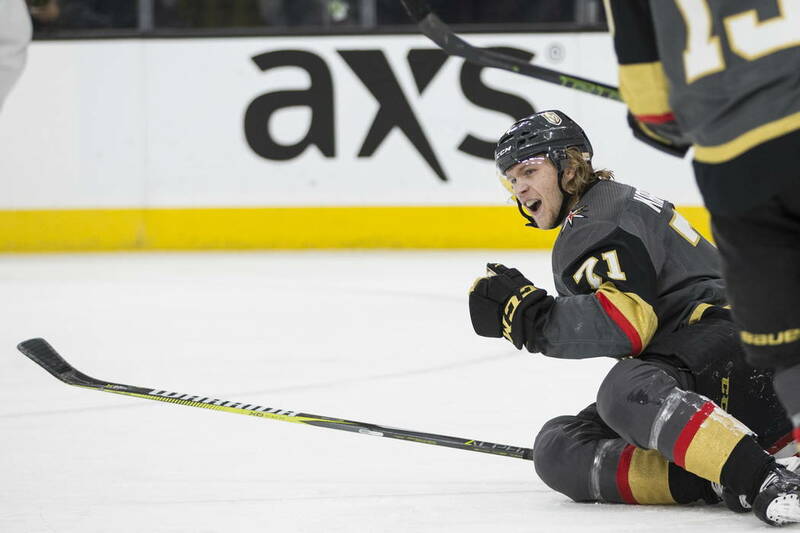 I’m guessing that chip doesn’t feel as heavy with each passing victory, the latest a 6-3 decision against Columbus on Tuesday night before 18,231 at T-Mobile Arena. This was always going to be the litmus test, no? It’s obvious that success helps — it’s the most important ingredient, after all — but the level of local support was going to be gauged on games such as this: a weeknight matchup with a non-Original Six opponent. And the place was packed — it was the season’s second-largest crowd — and electric again. So it continues, this magical run from a team left for last place in most minds to begin the season and instead now leading the Western Conference with 68 points and All-Star weekend just days away. It’s one thing to use a forecast of expansion doom and gloom and a season of constant losing as motivation to prove others wrong, to propel yourself to a higher level of production based solely on how little others view your product. It’s pretty easy to get fired up when everyone expects you to stink. But what happens when the stars align and the universe has other ideas about how a first-year franchise will ultimately perform? 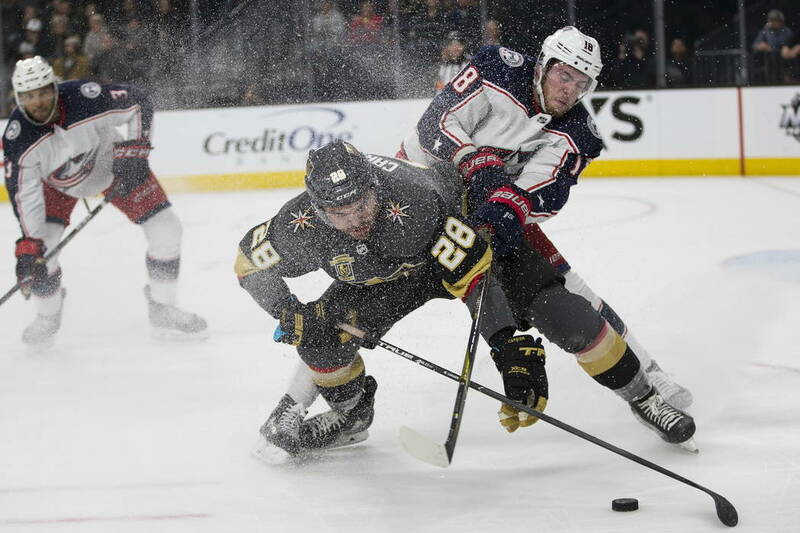 What happens when a player like William Karlsson, whose career-best in goals was nine for Columbus two years ago, has 27 on Jan. 24? Can a team continue to be inspired by the same motive when it completely flips the script on how it was supposed to play out? 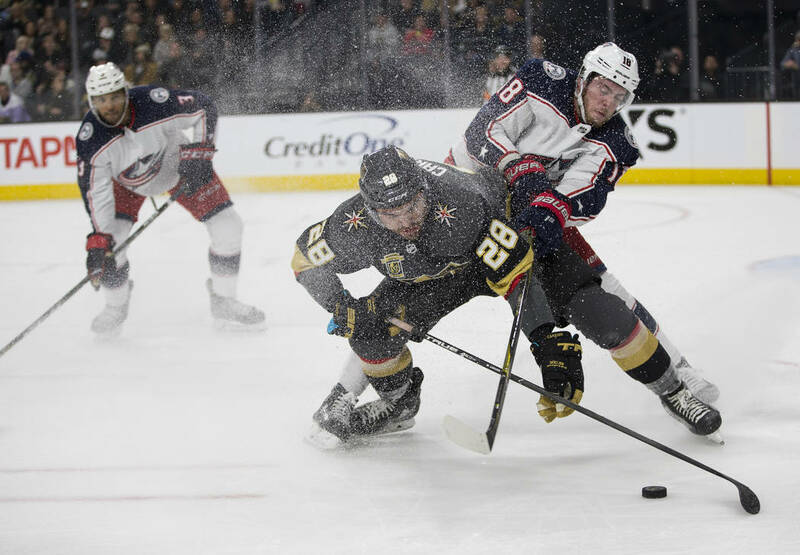 “For sure, I think you can,” said Knights defenseman Brayden McNabb, who left in the second period with an undisclosed injury. “It has been a big source (of motivation), especially at the beginning of the year when everyone in the room had something to prove. I think it helped us adapt quick with our chemistry, and that has just built throughout the season. It also doesn’t choose on which frames to sit. It’s on all of them, really. There isn’t a name of importance within the organization — from George McPhee as general manager to Gerard Gallant as head coach to every player in the room — who didn’t arrive having at one time or another been fired or snubbed by another franchise. Look no further than the goalie for a leading example. Marc-Andre Fleury has created a Hall of Fame resume and owns three Stanley Cup rings, and yet being exposed by the Pittsburgh franchise that drafted him No. 1 overall and shared such massive success undoubtedly left him wanting to prove something in his new home. He has been terrific of late, now 9-4 since returning from a concussion and allowing three or more goals just four times during that span. He stopped 29 shots Tuesday. Sometimes, specific motivation is manufactured. Often, not everyone sees it as a driving force behind that which is a historic start to an expansion season. They do, and there is. 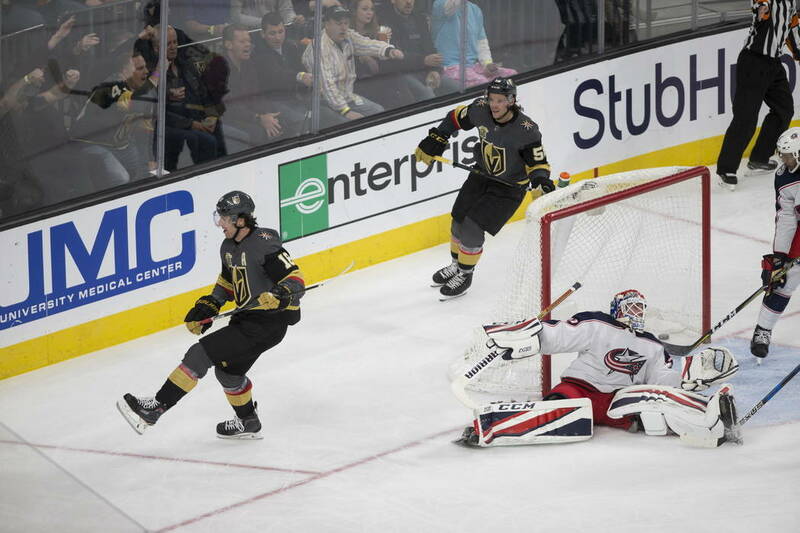 It was during the first intermission Sunday — when the Knights held a 3-1 lead at Carolina in a game they would win 5-1 — when Gallant relayed a message to his players: Even with an advantage, things weren’t crisp. Get back to the way you have played all season. For that, they need only look atop their shoulders. Real or not, the chip lives, and the rest of the NHL is having a heck of a time trying to knock it off.